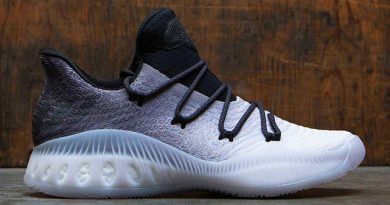 Finally it‘s time to finish things up with this year‘s Crazy Explosive family and that is the adidas Crazy Explosive 2017 (regular version). This year adidas came up with impossible mission to create even more successful & better performing shoe than last year’s Crazy Explosive. And if you have read my performance review on the CE 2017 Primeknit version, you already know that adidas just came up clutch and did the impossible. So without further ado, let’s see if the regular version will be another winner in my book. So last year’s regular Crazy Explosive featured that incredibly soft Mesh upper which did perform like the Primeknit version. It was a hard task to even separate both of these versions without looking at them. But now, adidas decided to go in the opposite direction by creating one hell of a supportive upper. Man, this sh*t is straight up cardboard. I’m not even joking. It even sound like a cardboard box. Listen adidas, you just went too far with this one. 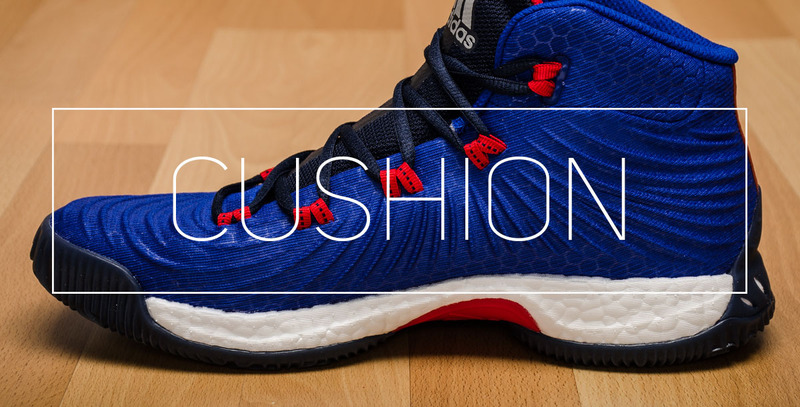 On the official adidas website it says – “Seamless FUSEDMESH upper designed with areas of support and stretch to help ensure a custom fit that adapts to every move“. CMON SON… Not even close. The Mesh itself feels very thick & tight to the point when it‘s even hard to believe that this is Mesh. And on top of that „goodness“we have a thin Fuse layer for even better cardboard fit. One thing I can admit, support is on a hall of fame level for sure. 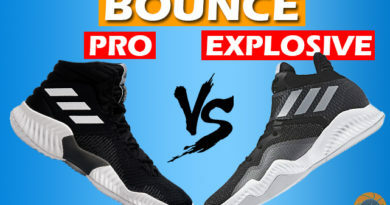 Nothing new in this category thought – same outstanding BOOST setup as on a every single Crazy Explosive shoe. Never tried BOOST? Then I don‘t know why you‘re still sitting here. Just cop a pair man! And thank me later. Now, for those who already know that BOOST is life, I don‘t have nothing new to say really. It‘s the same drill every single time – bounce ride, outstanding impact protection, while keeping responsiveness and court feel on a high level. In other words – PERFECTION. Again, exactly the same outsole so as the performance. You should be completely covered on whatever court you‘re playing – grip all day babe. On clean courts the outsole sticks the floor like kid‘s hands after eating an ice cream. While on dirty courts you might want to wipe them a few times or so to maintain that ice cream stickiness. And as usual, outdoor usage is not allowed since the rubber compound isn‘t ready for prime time yet. The shoe does feel like night and day comparing it with the Primeknit version. Lightweight feel, lovely sock like fit which doesn’t restrict you’re natural feet movements but at the same time, tighter knit on certain areas supports your foot. I mean, the upper on the Primeknit version has no flaws whatsoever. And then comes the regular version with its cardboard FUSEMESH upper. In my book, I only see big dudes wearing this shoe since it does offer ton of support & foot containment. But if you that type of player who prefers feeling light and unrestricted, just be smart and grab a Primeknit version of CE 2017. For those who are considering buying them, I highly recommend you to try them first before buying. They do fit a little bit differently, probably because of this upper. If there’s no chance of trying them on, then go true to size. With this narrow construction and stiff Fused Mesh upper, your foot just simply don‘t have any other choice to just stay in one place. You just lace them up tightly, I do prefer double knit since the laces always loosen up for me, and that‘s it. Amazing foot containment in every situation. 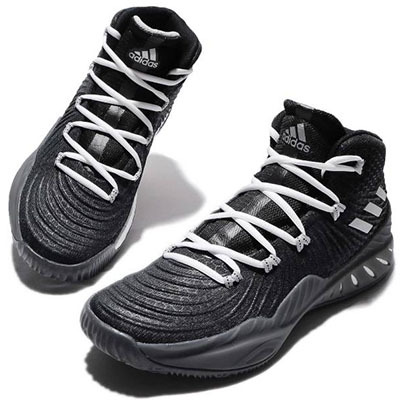 On top of that, they do have a regular support kit like every Crazy Explosive pair does – an internal heel counter, a torsional stability shank & wide base for solid stability. So everything you need is there and then some more. Sad to say, but this time the regular version let me down big time. You see how one poorly made aspect of the shoe can ruin the whole experience and shoe’s performance. That was the case this time. 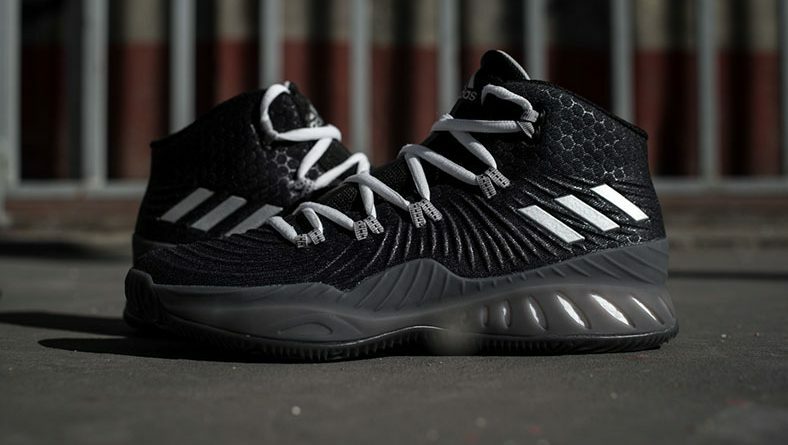 Listen adidas, just no more this Fuse gimmick okay? We’re living now in the knitted upper era, so I want to see that knit on my feet every single time since this stuff does perform. And if it does perform, that means we don’t need to turn our heads backwards when Fuse was a big thing. This year, there’s no other option then going with the Primeknit version. 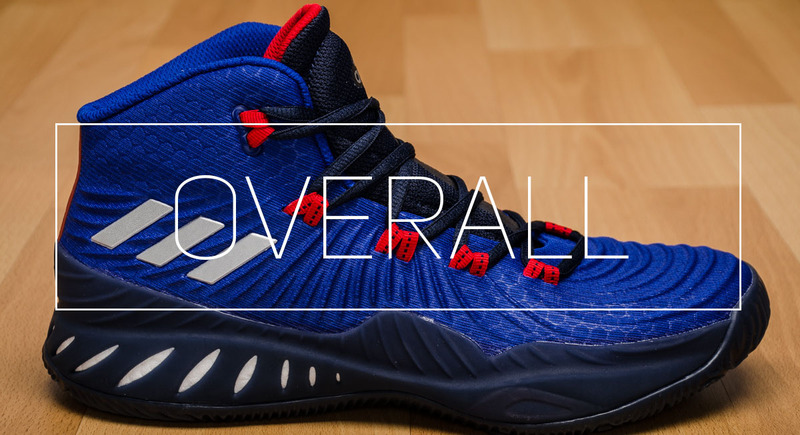 Hope you enjoyed my Performance Review on the ADIDAS CRAZY EXPLOSIVE 2017. Will you be picking them up? Let me know! 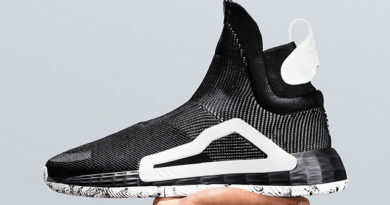 The knitted upper part version almost destroyed my ankle, and I guess others also experienced the same, because I wanted to sell the shoe amongst basketball players and nobody bought it although I wore them only two times and wanted to sell 60% of the price. All the other things, the cushion, the traction and the boost are one and only and awesome, so I’m really happy and excited to see this version coming out, and I’m pretty sure that loads of people feels like that! Now with all of this selling part – people do prefer some LeBrons or Kyries over a team model from adidas that has no hype around it, although they do perform as solid or even better at some cases.